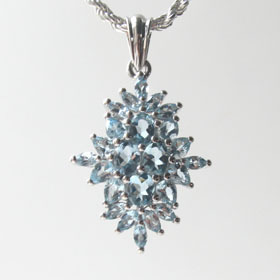 An aquamarine pendant is rather special. 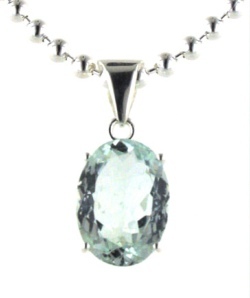 Aquamarine is beryl like emerald and enjoys a position a cut above most semi-precious gemstones. 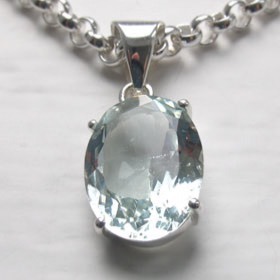 Aquamarine is available in a variety of sizes and cuts and its watery colour makes it a versatile gemstone to wear and a popular choice. 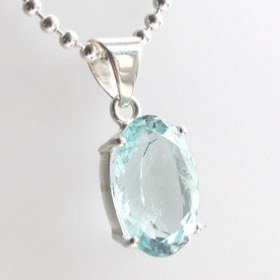 Our aquamarine silver pendants feature natural, top quality gemstones. 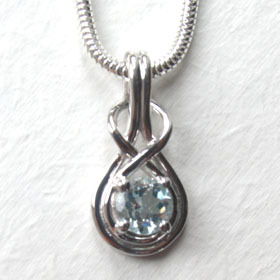 Team up your aquamarine pendant with one of our Italian sterling silver chains. 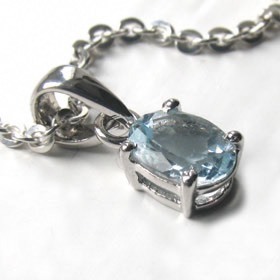 Aquamarine is the March birthstone.